Samsung 22.5 Cu. 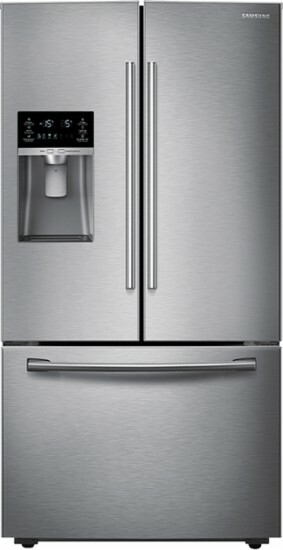 Ft. Counter-Depth French Door Refrigerator with Thru-the Door Ice and Water: There's room for everyone's favorite foods inside this Samsung refrigerator. It offers convenient storage features like gallon-size door bins, a full-width pantry drawer for party platters, and a compartment in the freezer that holds up to 16" pizzas.